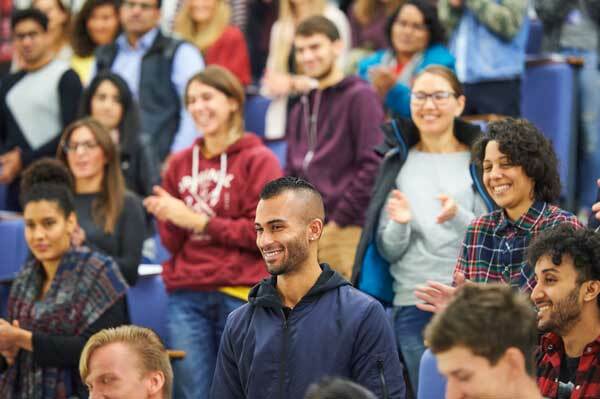 With more than half a million international students studying here, the UK is the world’s second-most-popular international destination for higher education. That means UK universities are well equipped to provide support to international students. If you’re coming to the UK to study, here’s the help and advice you can expect to receive. If you’re a non-EEA national, over 16 and have been offered a place to study on a course that lasts longer than 11 months then you’ll need a Tier 4 general student visa to study in the UK. You can apply for this visa from both inside and outside the UK. Your university will be able to support you throughout the process of applying for your student visa, and many universities will have a dedicated visa and immigration support team. Check your university’s website for the relevant contact details. Beyond your university, you’ll find further information at the Office of the Immigration Service Commissioner (OISC). Other useful information sites include UKCISA (where you can also get advice on the phone from OISC accredited advisers) and the British Council. If you’re from an EU country, you may be able to get a loan to cover the cost of tuition fees. But, if you live outside the EU, you’ll have to fund your studies yourself. Before you can apply for your student visa, you’ll also need to make sure that you have – and can prove that you have – the finances to fund both your degree and your living costs. If you have any questions about financing your studies, try your university first. All UK universities will have student financial support services, and many of those will have dedicated teams for international students. There are hundreds of scholarships, bursaries and grant schemes available for international students coming to the UK. Many of these will be specifically for postgraduate applicants: for example the UK government’s Chevening scholarship programme (open to students from around the world) and the Commonwealth Scholarship (open to students from Commonwealth countries). Undergraduate funding may be less common, but can also be found. Many universities will offer their own scholarships for international students, so check with your university to find out what may be available. There are also country-specific scholarships and funding available. These will depend on where you’re from. The British Council website is a good place to start looking for these. You might find day-to-day life in the UK is very different from your home country. Universities provide plenty of support to help international students settle into living in a new country. For starters, you can expect your university to have an international student support team. They will run an induction programme to help you settle in, with events, day trips and societies for international students. The team will also be able to help you with general tasks such as opening a bank account or registering with a doctor. Many universities have Facebook groups especially for international students, so you’ll be able to chat with fellow students before you even arrive. Buddy programmes are also popular, where international students are buddied up with a current student to help them find their way around and settle into UK life. Most universities will guarantee overseas students an offer of university accommodation that’s owned, managed or approved by the university for the duration of your study. It’s common for universities to also offer accommodation for students who will be bringing a partner or family along to the UK. No matter what type of accommodation you’re looking for, your university’s student support team will be able to give you advice about the housing available to you, as well as details on rental types, costs and duration. Upon arrival at a UK airport, you’ll pass through immigration control. There are usually two main queues – one for EEA and Swiss nationals, and one for everyone else. When you reach the front of the queue, a border force officer will look at your passport and check your visa. They may also check that you speak English at the required level, without needing an interpreter. They’ll want to see documents relating to your studies (such as a letter from your university or higher education institute, which includes your Confirmation of Acceptance for Studies number if you are coming to the UK as a Tier 4 student), proof of your finances, and details of where you will be staying. Universities often provide a dedicated shuttle service from the airport to your university campus. Your university’s international student support team will be able to inform you about the transport options available – and help you book the service you need. The support team will also put you in touch with your university’s dedicated international student support service, where you’ll be able to get all the information and support you need to make you feel at home.